Google’s virtual assistant has been growing in popularity since its inception and the company doesn’t seem to be easing up on the rollouts for its features or its products. When Google Assistant debuted it used the phrase “OK, Google” to let you issue voice commands without having to touch the device. While this is okay, it never felt natural and having a phrase with 4 syllables took too long for quick voice commands. The company added “Hey Google” as a new phrase toward the end of last year and now it is available on the Galaxy S9 and Galaxy S9+. We first noticed that Google was adding the “Hey Google” option back in October of last year. It only took the company a couple of months before they made it widely available on all Google Assistant devices. We confirmed it was possible on the ZTE Axon M at the time of publishing the information and it quickly spread to other devices. 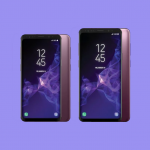 One of the devices that “Hey Google” did not work on was the Galaxy S9 and the Galaxy S9+. It still recognized the “OK, Google” hotword for hands-free voice commands, but not the newer one. If it’s not available to you right now then rest easy knowing that it will be headed to your device in a future update.